I'll be taking a little summer blogging break until the end of August, with only the odd post here and there. See you all again in September! P.S. 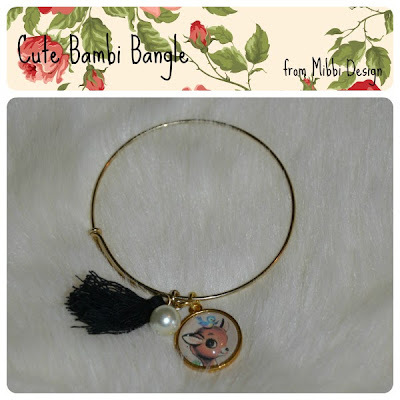 : Don't forget to enter the current giveaway to win a cute bangle! The Etsy Venture - Look! It's a banner! This is my latest shop banner and it beautifully displays which shop you just "entered" and some of the images you will find "on the shelves". I realize not every seller is overly tech-savvy, but trust me it's really no big deal to create such a banner yourself. My venue of choice? PicMonkey. 1. Open PicMonkey and go to "Create a Collage"
7. Open PicMonkey again and pick "Edit a Photo"
See? It's quite simple, really. Yarn Tales - Don't cast your purls before swine! I don't know about you, but working with something that's potentially making you feel warm and cozy when it's sweltering hot outside, isn't exactly high up on my list of things to do right now. So instead of presenting you some new knitted project, how about some laughs for everyone who loves their yarn stash? A piece of yarn walks into a bar and orders a beer, but the bartender snarls, "We don't serve your kind here!". The yarn is forced to leave. While sitting on the curb feeling sorry for himself, the yarn is suddenly hit with a brilliant idea. Working quickly, he ties himself into a knot and unravels his ends. Taking a deep breath, the yarn marches back into the bar and orders a beer. "Hey!" says the bartender. "Ain't you that piece of yarn I just threw outta here?" "Nope," replies the yarn, "I'm a frayed knot." Why did the hog farmer give up knitting? He didn't want to cast his purls before swine! "No," she shouts back, "It's a scarf!" What do you get when you cross a sheep with a kangaroo? Know any yarn and/or knitting jokes? Feel free to share! Last month I posted about my lucky dip loot from Mibbi Design which included this cute bangle for those young at heart! Handmade in the English countryside Mibbi Design has a passion for modern, whimsical designs and the lovely piece I will share with one of you this month is just one of the many lovely pieces available in the shop. Please note that this giveaway is not sponsored by Mibbi Design - it's just my way of spreading the love and at the same time giving a shout-out for an amazing Etsy seller!